The requirements in corporate banking today are quite clear: a variety of installed software solutions on the customer end should be able to communicate with banks and financial institutions. Multiple different partners and interfaces require a complex solution, which takes all standards and special features into account. CREALOGIX FTX NG can be fully integrated into any software thanks to libraries. This enables your software solution to communicate with all financial institutions in Switzerland. Protocols such as EBICS enable seamless data exchange. The NG in CREALOGIX FTX NG stands for “New Generation” and describes the new and completely revised version of the FTX Partner toolbox – an intelligent solution that knows no interface boundaries and enables any software to communicate with banks and financial institutions and exchange data. What can the toolbox do? CREALOGIX FTX NG is the competent manager for all interfaces of Swiss financial institutions. Once integrated into the software, all of the financial institutions in Switzerland are immediately available to the application with FTX NG across all electronic channels. As a result, any software can communicate with any desired financial institution. The data exchange works immediately, reliably and seamlessly. With CREALOGIX FTX NG on board, software publishers can focus on the essentials – development and care for their products. The intelligent toolbox takes care of your interfaces to banks and financial institutions. CREALOGIX continuously integrates new financial institution interfaces, modified interfaces or new standards into FTX NG, which are immediately made available to all software publishers as updates. Of course, the necessary updates can be applied without problems, without installations or modifications to customer software and systems. 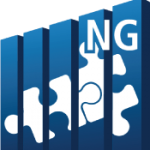 FTX NG makes life easy for software publishers and their customers. The communication and data exchange with financial institutions is guaranteed at all times. Users who work with your software do not need to worry about CREALOGIX FTX NG. The integrated toolbox requires no maintenance, but does what your customers expect from your software, simply and reliably: it ensures seamless data traffic between the customer and their financial institution. Companies can rely on secure communication with all financial institutions in Switzerland at all times – without any problems and directly via the application that is familiar to them. The FTX module makes essentially all of the options offered by the financial institutions available, where the individual publisher in each case uses a selection of these features aligned to its product and target client segment. Communication usually occurs via the direct banking channels (where available), e.g. CS DirectLink, PostFinance TBS, UBS KeyGate or ZKB DataLink. However, as a software partner you can, when designing for the projected customer segment, direct FTX to give priority to the available online banking channels, e.g. CS DirectNet, PostFinance e-Finance, UBS OFX or ZKB E-Link. All financial institutions in Switzerland are available over all electronic channels. The CREALOGIX FTX module has established itself on the customer side as the Swiss standard for direct banking. The wide range of modules guarantees that this is constantly kept up to date and can serve the whole range of interfaces. Would you like to find out more about CREALOGIX FTX NG?